The National Institute for Mathematical and Biological Synthesis (NIMBioS) is now accepting applications for its Investigative Workshop "Bio-acoustic Structure", to be held June 25-27 at NIMBioS. 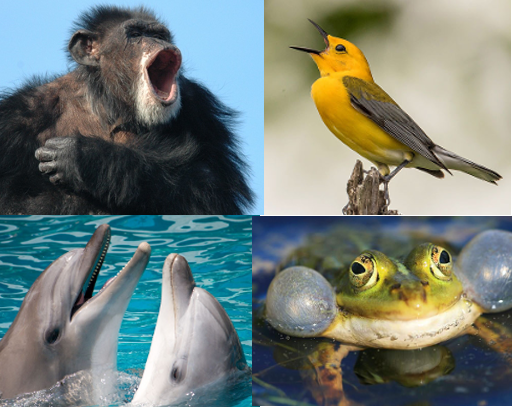 In order to make progress on the promise of using acoustics to characterize population structure, this workshop will bring together experts in bio-acoustics of multiple taxa, including birds, frogs, primates, and cetaceans, with mathematicians and computer scientists with expertise in classification, clustering, and information theory to develop a unified approach. This will be accomplished by: 1) compiling guidelines of best practices for designing acoustic surveys, 2) reviewing acoustic features of each taxon useful for identifying regional and taxonomic differences, and 3) reviewing methods for quantifying and comparing information content, generating classification models, and identifying biologically significant clusters. The results of this workshop will describe the current state of using acoustics to assess population structure, create a community bridging taxonomic disciplines, and provide new non-invasive tools for conservation. Participation in NIMBioS workshops is by application only. Individuals with a strong interest in the topic are encouraged to apply, and successful applicants will be notified within two weeks after the application deadline. If needed, financial support for travel, meals, and lodging is available for workshop attendees. The National Institute for Mathematical and Biological Synthesis (NIMBioS) (www.nimbios.org) brings together researchers from around the world to collaborate across disciplinary boundaries to investigate solutions to basic and applied problems in the life sciences. NIMBioS is sponsored by the National Science Foundation, with additional support from The University of Tennessee, Knoxville.